…and I’m facilitating a free linocut workshop. Art and social change go together: we need to make our own images to reflect our lives and experiences. Linocut printmaking is a technique that can create detailed or bold artwork, and allows us to make many copies of the same image by hand. It uses hand tools to create unique carvings, then inks to print on paper. 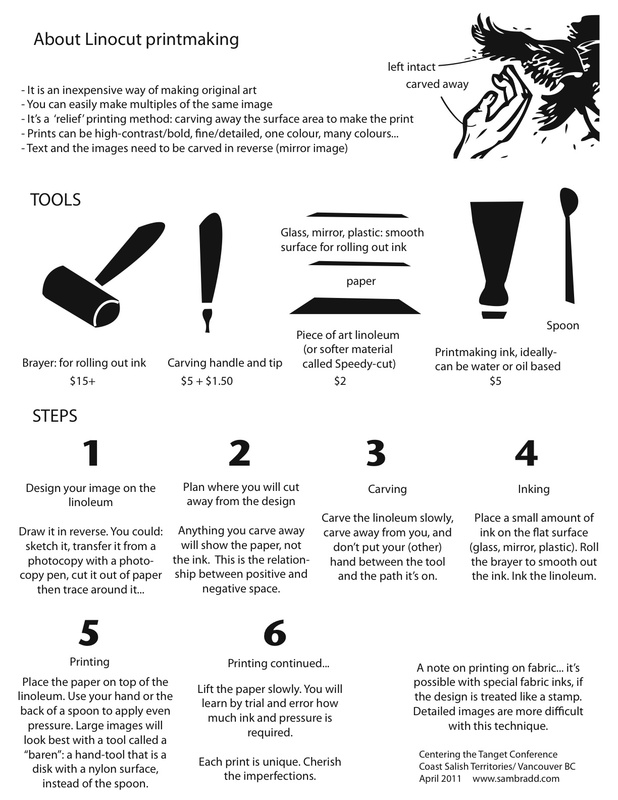 Linocut images are great for printing a special run of posters, prints or cards for fundraising, CD covers, zine covers, or any other flat surface; they can also be easily scanned into a computer and used as clip art or vector images. I’ll bring some wooden type from the letterpress so we can put short words into the artwork too, along with examples of political posters for inspiration.